I almost bought a new laptop last week. I already have one for gaming and another for work, but I'd like a third just for traveling with. This guy I met in Finland, Rudy "Bad Blood" Tenneton, got a shipment in, and he said I could have first pick out of everything. 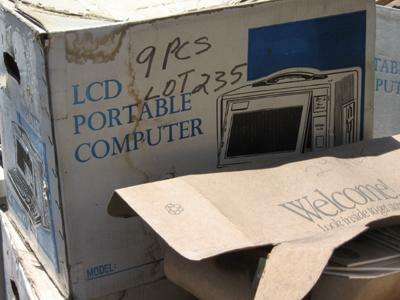 There were about half a dozen of these LCD Portable Computers so I booted one up to see what it could handle. It came loaded with Vista and runs on a 2.2GHz processor. It's got an 80GB hard drive. Not bad. Not great either. Rudy had a PC game called Big Rigs: Over the Road Racing so I tried it out. 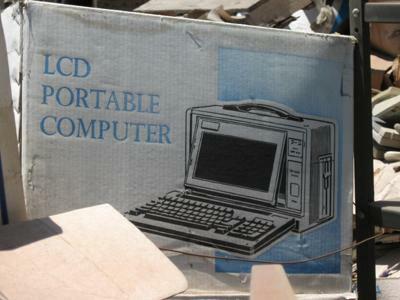 The computer runs fine, but it's kind of pushing the boundaries of what I'd call "portable." I passed because it weighs sixteen pounds. Oh, also, I promised Rudy I'd mention this... He's got four hundred pairs of new to semi-new ladies' pantyhose. All sizes. He says he can't figure out eBay so send me an email if you want to buy some. Does anyone have any advice on how to deal with a crazy, lunatic neighbor? I can't take it anymore. He does things like leave a case of mayonnaise in the sun outside his house for three weeks with a sign that says 'Do Not Refrigerate.' What does that even mean? 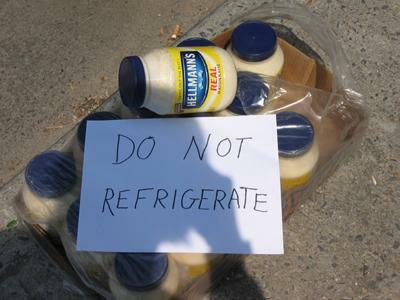 Mayonnaise is supposed to be refrigerated. What does he think is going to happen? The smell is so terrible. I can't even describe it. What do I do about this? Can I call the police or the city or something? Help. Mark and I are here at the South Bend Regional Airport waiting for our plane to board. We're headed to New York. TSA pulled me aside and went through my bag with one of their new Safe 'n Secure Bots, and it malfunctioned during the search. I think there was a short because the lights in its face popped. Then we heard a sizzling sound and saw smoke come out of its head. They thought I did something to the robot, which is stupid. I never touched the thing. Mark called them "a bunch of knuckleheaded lame brains," and they glared at him. If you have relatives buried in Arizona, keep an eye out for graverobbers. It's a real problem there. I was driving on I-40W through Flagstaff, and I saw police officers cuffing a guy at Sonic. I asked them what was going on, and they said they were arresting him on six counts of graverobbery. About two hours later I passed through Kingman and was stopped at a road block. They were checking every car that went through. I asked why, and they said a couple of graverobbers were on the loose. Is graverobbing that lucrative of a crime? Digging up a dead body seems like a lot of work, and I didn't think anyone got buried with jewels or cash anymore. 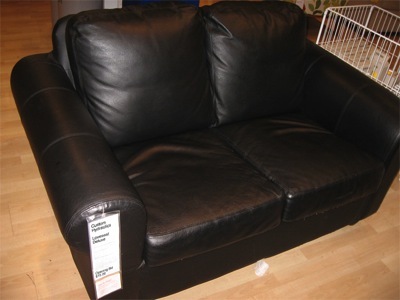 I was at the police auction yesterday, and I bought a love seat that used to belong to a drug lord before he got busted. This thing is tricked out with hydraulics in all the cushions. I've been riding it non-stop since I got it home. Ladies, email me. The optical remote for my wireless blender isn't working correctly. I called up this electrical appliance repair place, and the guy asked me what political party I support. I told him that was none of his business, but he said he wouldn't repair anything for me unless I told him. Weird, right? 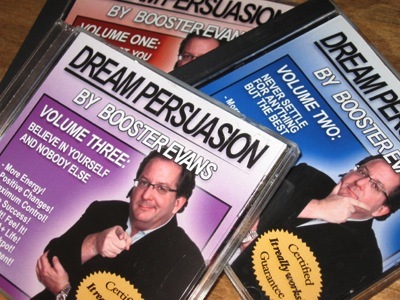 I bought a collection of Sleep Hypnosis CDs yesterday called Dream Persuasion by Booster Evans. You're supposed to play the CDs while you sleep, and after a few months you'll start noticing positive changes in your life. The CDs come with a warning that says if you listen to more than a couple minutes of the Dream Persuasion messages while awake, you'll compromise their subconscious effects and actually develop more problems. Obviously, I have my doubts. Booster Evans doesn't look entirely trustworthy, but I guess I'm willing to give it a shot. Who couldn't use some positive changes? Here's an audio sample from Volume Three. Encephalon Surround Sound is the newest experiment in digital audio projection. Hearing ESS requires a special echo chamber. This room is designed to create sonic frequencies that can affect your body's nervous system. The result is hearing recorded audio inside your mind. Creepy, right? I don't exactly understand how everything works, but I think it has something to do with Molecular Vibration Density and Vector Field Mechanics in Polar Coordinates. Apparently, Tom Holman built the Encephalon Chamber ten months ago, and now he's recovering in a mental hospital. I'm trying to convince my cousin to construct one, but he's always busy with his wife and kids. I'd build one myself, but I suffer from a mild case of Labyrinthitis. I don't have the complete plans, but you should be able to find them online. If you build an Encephalon Surround Sound room for yourself, tell me what it's like. I'm really curious. Man, I think I'm sick. I might have to go to the doctor. And I never go to the doctor. (I am scared of hospitals, doctors, needles, and microbes.) Seriously, I'm breaking out in cold sweats and have hives on my arms and legs. Also, my tongue feels weird. 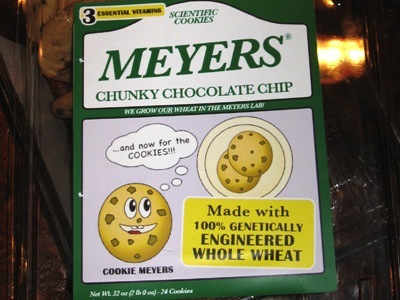 Mark said it's probably from all the genetically engineered cookies I've been eating. Has anyone else had these things? If so, did you get sick? I didn't check to see if they were FDA approved, but now I'm kind of concerned. 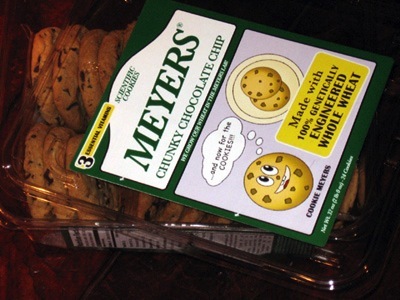 I got these cookies at the HEALTH FOOD STORE!! SHOULDN'T THAT MEAN THEY ARE HEALTHY??! WHAT'S GOING ON HERE? Cell phones have all but replaced pagers, but that's no reason to throw yours away. When cell networks go down, calls won't go through, but pages will. That's because pager messages are delivered by satellite. A satellite phone combines the reliability of pager networks with the functionality of cellular telephony, but those are pretty expensive. That's why I retrofit my pager with a T-6 motherboard. Here's a photo of the circuitry I installed. An electronics place charged me $18 for the hardwiring. I can now send and receive messages, store names and numbers, keep notes, and set a weekly calendar (dates and/or times with full alarm functions) on my SkyTel. Look for the T-6 board on eBay. They're easy to find. I got mine for $11 including shipping. 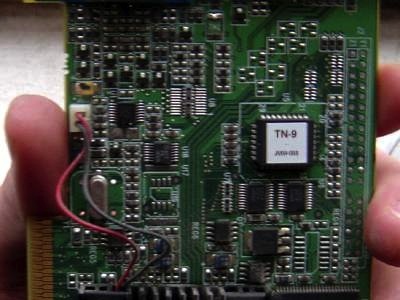 If you want a more challenging project, purchase the TN-9 motherboard. Here's mine. 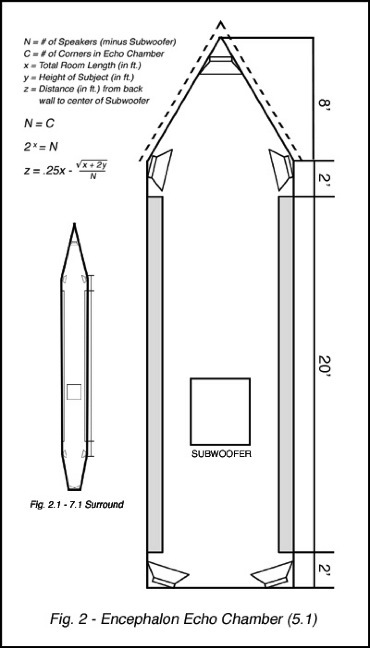 It's three times the size of the T-6 so you'll have to build a new casing for the pager. This board can handle an LCD as large as the TI-83's. 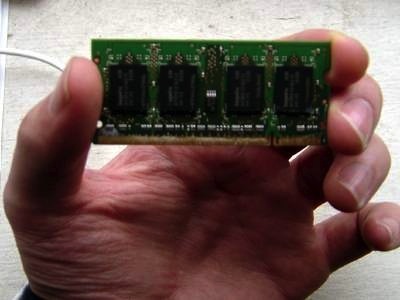 It can triangulate and serve as a crude GPS device, and it will execute basic calculator functions and simple pixel-based games like Tetris, Pong, or Arkanoid. Send me pics of your pager hacks, and I'll post them. 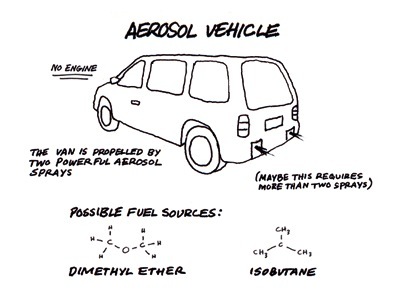 Glycol is an active ingredient in both anti-freeze and fog fluid for fog machines. Liquid glycols have low boiling points and very high freezing points, making them ideal ingredients for anti-freeze and fog fluid. As an experiment, I tried to see if glycol vapor would also freeze. I stretched a balloon over the opening of a fog machine. I ran the machine so that the balloon filled with fog. I pulled it off, tied it up, and placed it in the freezer. The fog-filled balloon didn't freeze. Interesting. I've got a guy who can get me clipboard parts at a really good rate. These things are really cheap. The catch: everything comes unassembled. He keeps telling me that it's not difficult to put them together, and that everyone's buying clipboards these days. It feels like a hard sell, and I don't really have the time to start another business, but I'll be honest. I'm tempted. I know this seems a little out there, but trust me. Aftershave often contains alcohol and moisturizers, but I've found that the ratios are off, and my skin is left dry and irritated. Cream cheese has amino acids that strengthens keratin levels and keeps skin elastic, and the cream serves as an excellent moisturizer. I haven't bought aftershave in years. I've found that if I put cream cheese on my face after shaving, my skin is a lot smoother, and I don't get razor burn. Any thick dairy product with a high cream concentration will work, but I've found that cream cheese has the best consistency for this. I usually let the cream cheese sit for a good five to ten minutes before washing it off with warm water. There seems to be a lot of crossover with food and hygiene products anyway so I don't feel too silly putting cream cheese on my face. It's just like cucumbers on the eyes, oatmeal masks, and fruit extract shampoo. That kind of thing. Strange but true. FYI: Under the new Homeland Security Act, the NSA is fully entitled to monitor and track threads of SMS text messages and instant messages sent between cell phones and other electronic devices. The phone companies and service providers are in full cooperation with the U.S. government and will hand over all your records and information. If you don't want the government looking into your private matters, text and IM in Morse Code. Morse Code is so antiquated that their software doesn't recognize it. In other words, the NSA's programs can't understand that more than one character can collectively represent a single character. The records will appear as fragmented nonsense. Don't relinquish your right to privacy. Text and IM in Morse Code. With all the problems in the Middle East, wouldn't it be great if we could cut down on our crude oil usage? I was at the glasses store replacing my scratched lenses, and I saw a pair of plastic frames that had LEDs along the sides. I talked to the store manager about them, and he told me that you can hook them up to your PC via USB and program flashing patterns and colors. He said he just got them for his cousin, but when I asked how old his cousin is, he said he had to go answer a phone call. Does anyone have these glasses? I want to know if they are something only children should wear. DO NOT FALL FOR THIS. Someone named Ian Settersmith is advising people to clean their eyeglasses with steel wool. I tried this, and it COMPLETELY RUINED MY GLASSES. He claimed that the steel wool will buff out any minor scratches, and that your glasses will be as sharp and clear as the day you bought them. WRONG. My glasses have terrible scratches, and now I have to get the lenses replaced. THANKS A LOT, IAN. HUMAN BLOOD: GOOD FOR PLANTS? My sister just told me that she gives her plants a drop of blood (hers or her husband's) everyday. She said she read somewhere that human blood is good for plants, and that it keeps them healthy. I can't find any articles about this, but I'm going to try it for a few weeks. I'll let you know what happens. The guy who runs the camp got arrested so I guess that's it. I can't go. I'm trying to find another camp to attend, but I'm not having much luck. I'm leaving for a couple weeks to go to lock picking camp. I won't be able to post during that time. Sorry. I accidentally electrocuted myself yesterday. I was trying to install a special doorbell that converts any song from your mp3 player into a custom door chime using MIDI. I guess I crossed some live wires or something. Well, I've had a headache ever since, and I'm starting to think I should be concerned. Maybe I'll call a doctor. What is the best kind of treadmill to buy? Can I get a decent treadmill for $200? I don't need it for exercise. It's for something else. I went to some second-hand stores, but they looked at me like I was crazy. If you have any ideas, please e-mail me. Thanks.